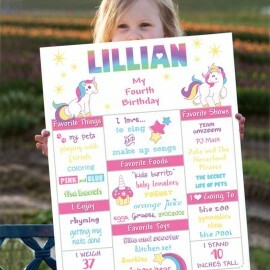 This custom made birthday unicorn poster is a fun way to remember all of your birthday girl's special accomplishments. It makes the perfect addition to their birthday party and photo opportunities! 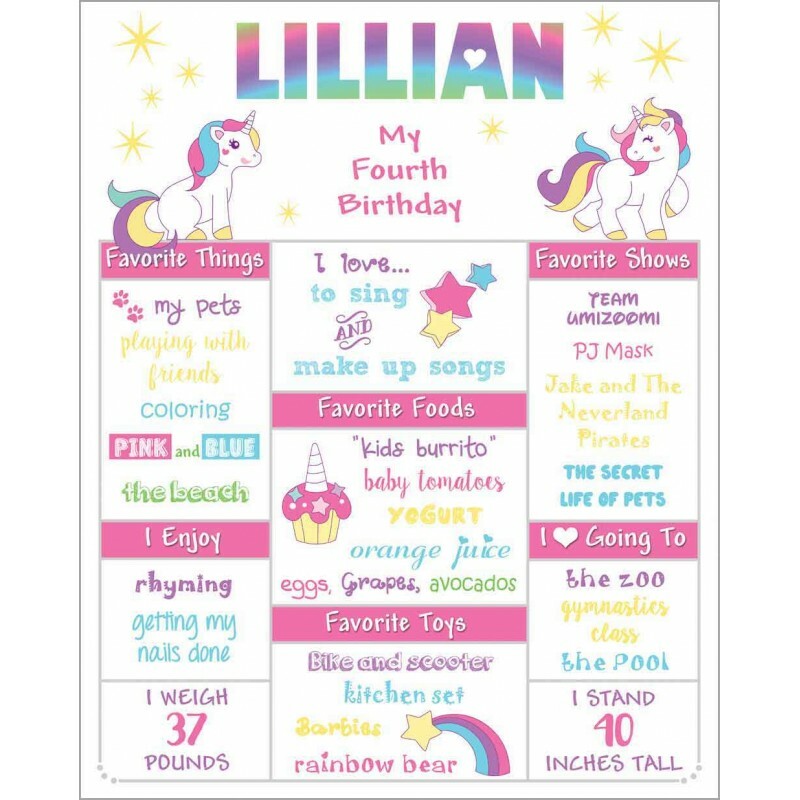 Size: 16 - 20. Typically ready within 48 hours!